Chor der Kreuzfahrer (Hoher Herr!) (Aus der Oper "Die Lombarden"). By Giuseppe Verdi (1813-1901). Edited by F. Huber. Various Sacred. 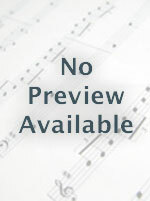 For mixed choir and orchestra (piano) ([Piccolo.1.2.2.2-4.2.3.1], Drum, Strings). Violin 1 part. Published by Doblinger Music Publishers (DB.46-00781-V1).